Hollco Ltd is dedicated to the design and manufacture of high-quality portable traffic light systems. The company has been supplying the portable traffic light market since 1990 and continues to bring innovation and customer driven features to their comprehensive range of products and systems. 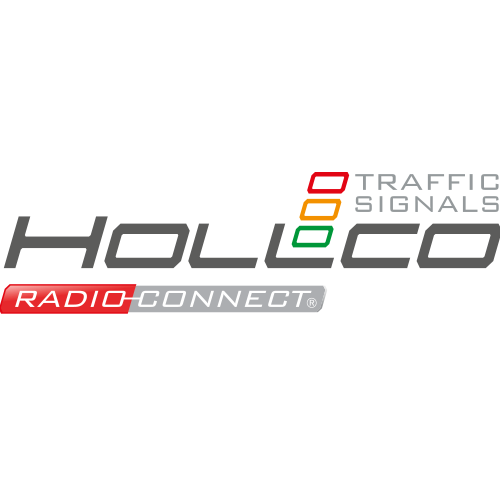 Based on extensive customer feedback, the best-selling Hollco product, the all new RadioConnect2 has been designed to help operators meet the increasingly demanding requirements of local authorities and infrastructure owners. The RadioConnect2 gives you peace of mind, knowing you are using a fully compliant product which reliably keeps traffic moving 24/7, requires minimal training and is easy to operate. The RadioConnect2 is also easy to deploy and is very safe to use. A fully-weatherproofed, eye-level control panel on the RadioConnect2 provides all theinformation the operator needs to quickly configure up to four phases of lights. Real-time system status is available on every master and slave unit. Battery charge and remaining runtime can be checked at any time, minimising the likelihood of running out of power during normal operation. Hollco use the latest advanced traffic sensor and radio technologies to provide reliable performance at all times. Their AutoGreen technology provides the most advanced Green signal timing optimization on the market today. For road users this means shorter queues and less frustrating journeys. Hollco products are engineered to perform and to last. The RadioConnect2 has been extensively tested, qualified to 10 International environmental standards and is designed for compliance with TOPAS 2502. Hollco is part of The Traffic Group, with access to a dedicated in-house team of engineers with over 25 years’ experience of successfully developing products that meet the stringent regulatory and environmental requirements of the traffic industry.